Winter means holiday season, which often means not entirely good if you are on a weight control or weight loss program. I know, holidays are meant to be enjoyed but the combination of cold weather, parties and holiday celebrations does not simply fit in a weight loss program. Physiologically speaking, our bodies need to store as much fat as possible in preparation for the extreme cold weather conditions during winter. Food hunting-wise our body is prepared for food scarcity during this season. It is in our genes that fat should be stored during winter season. Bask in the warm sunshine. Sunlight affects how our body produces and releases certain hormones. Sunlight regulates our serotonin level that is why it also plays a role in keeping our good mood and preventing depression. Apart from being a feel good hormone, serotonin also helps us curb our appetite and prevent cravings. Basking in the warm sunshine and going outdoors when the sun is up is a good idea during winter. Getting enough sleep has always been advised by fitness and weight loss experts not just during winter season but regularly. A regular sleeping pattern helps regulate metabolism, decreases cravings and hunger pangs. Protein especially meat is heavy to the stomach. Loading up on protein makes you feel full easily. This will prevent you from eating further. Aside from red meat, eat lots of fish, chicken and beans too. Drink milk but make sure to choose a low fat version since whole milk could be fattening. Even if it is the holidays, try to stick to your chosen diet program. Eat more fruits and vegetables. Choose seasonal produce. One way to warm up your body while staying away from carbs and fats is to consume foods with high water content. Eating spicy foods also help you stay warmed up. Take the cue from the Japanese and Koreans. Warm up by working out. One of the best ways to lose weight during winter time is to workout vigorously. 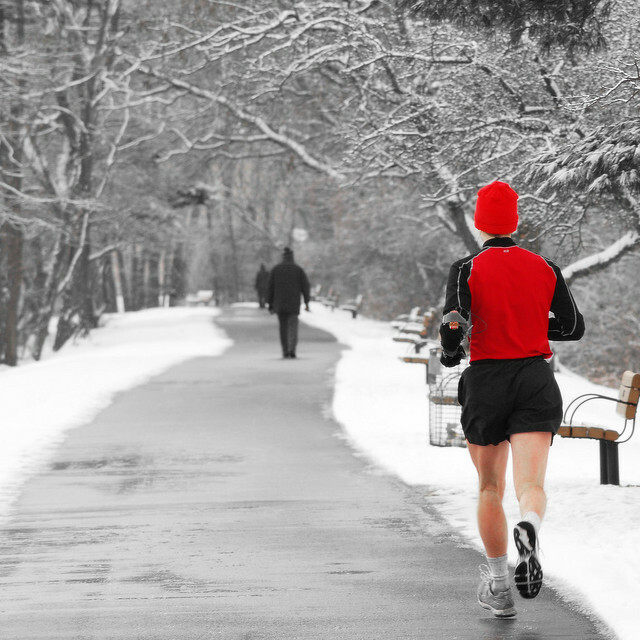 Since it is extremely cold during winter, it would be a good opportunity to run or enroll yourself in a heavy workout program. It’s like hitting two birds with one stone, losing calories while warming up.